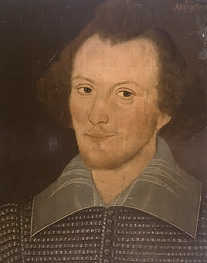 William Shakespeare was an English writer around 1600 who put life’s big issues into play. Where be your gibes now, your gambols, your songs, your flashes of merriment, that were wont to set the table on a roar? Polonius: Though this be madness, yet there is method in't. Pedro. Lady, will you walke about with your friend? Hero. So you walke softly, and looke sweetly, and say nothing, I am yours for the walke, and especially when I walke away. Thou by thy dyals shady progress maist know,Times thievish progresse to eternitie.. This foolish, dreaming, superstitious girl Makes all these bodements. Thy glasse will shew thee how thy beauties were, Thy dyalls how thy pretious mynuits waste, The vacant leaves thy mindes imprint will beare, And of this booke, this learning maist thou taste. The wrinkles which thy glasse will truly show, Of mouthed graves will give thee memorie, Thou by thy dyals shady progress maist know, Times thievish progresse to eternitie.